As many of you know I had some Heart issues in 2017, On reading many many articles on how to reduce high blood pressure the one thing that kept on coming up time and time again was the reduction in meat. At that time I was eating Chicken around 3 times a week, Bacon every weekend alongside red meat every Sunday, it's fair to say we were having meat or Fish every day of the week, Mr LB took 3 Chicken breasts to work with him everyday as part of his gym protein! to be honest we didn't give it much thought and I believed we were having a balanced diet, I had been raised on meat and two veg. 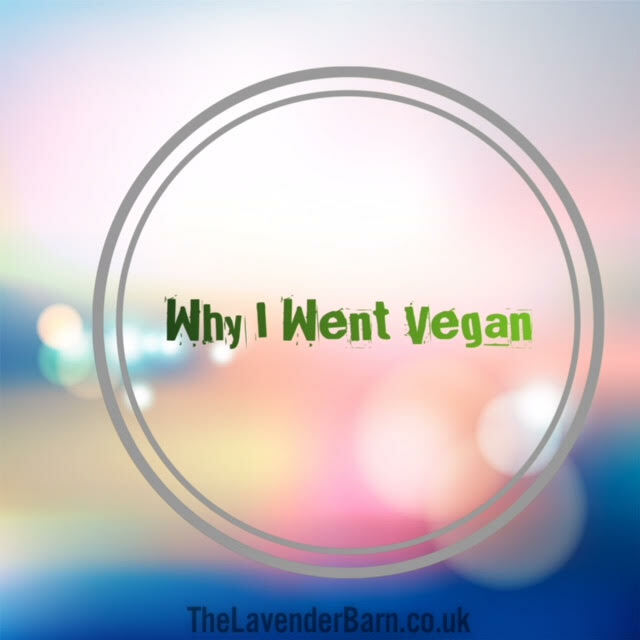 I decided to try a strictly vegetarian diet and Mr Lavender Barn soon fell in with it as he will eat whatever is put in front of him :) after 4 months a Doctors visit confirmed that I had dramatically lowered my blood pressure. That was the proof I needed to decide that this way of eating was now for life, I wanted to know more and started exploring a Vegan diet, I watched every available video on YouTube regarding animal welfare and that was enough for me, I am not advising you to do the same as it really is quite disturbing. We have been Vegan now since Christmas, which was interesting as it was our first Christmas meat free, I didn't miss it a bit! I know a lot of people are doing #Veganuary and am curious to read blogs as to how they are managing, for me personally this has become a lifetime way of eating, giving up meat was easy, dairy not so much. That said I now have Almond milk in tea which I hated at first, but couldn't imagine going without my "cuppa tea" now it all seems perfectly normal, and whatever food you have you can always find a vegan alternative out there. The one thing I do is make sure we take enough supplements as I would hate to think that something is missing and don't want to undo the good work the diet is doing. Just on a side note, take a lot of what you see on the internet with an open mind, there can be huge amount of snobbery and judgement attached to the Vegan lifestyle with some people thinking they are holier than God and ready to tear another person down. In my thinking it is a personal choice and not a tool to judge someones lifestyle. Each to their own. Have you changed your eating habits ? If you fancy asking me any questions or chatting on this subject please get in touch via the comments section.